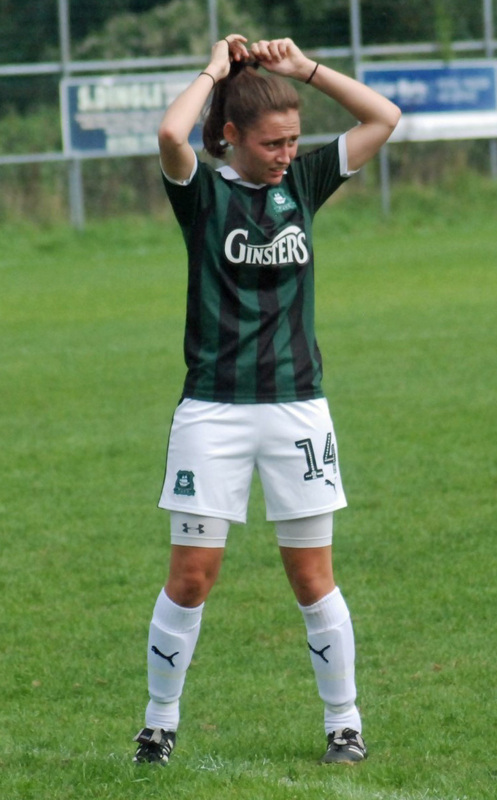 PLYMOUTH Argyle Ladies have been handed a tricky visit to Southampton in the second round of the National League Cup. The tie is to be played on Sunday, October 14, and will see Southern Premier Division high-flyers Argyle travel to play the team they narrowly edged out to win promotion from South West Division One last season. The Pilgrims had a good cup run last term, beating Chichester City 3-1 and Cardiff City 2-1 before going down 3-0 against Coventry United. Southampton will be smarting after going out of the FA Cup 2-1 to Marine Academy Plymouth, but they have won all of their four league matches to date. Meanwhile, there was disappointing news for Argyle midfielder Kayleigh Brown (pictured), whose season has been cut short after a scan revealed she had ruptured her ACL in her left knee. Brown suffered the injury playing for Argyle’s development team in a match against St Agnes. The trainee PE teacher has been with the Pilgrims for four years and was a member of last season’s South West Division One promotion winning team. The development team have suffered a number of injuries of late, including losing goalkeeper Amy Darnley and Shania Fenlon for last Sunday’s match. Also out for at least six weeks is Lucy Solloway with a torn calf muscle, Abbi Scurr, with an ongoing ankle injury, and Charlie Rollerson, who is waiting for an operation in her broken nose.